● Product descriptionAC-Nature Complex contains skin-calming toner, which cleanses sensitive skin ge..
● Products DescriptionPlant ingredients for oily skin provides soft bubbles gently removing pores im..
● Products Description Natural moisture ingredients from nature provides rich moisture and nutrition..
● Products DescriptionSkin soothing essence with natural plant essence Provides skin deep nature ene..
● Products DescriptionSpot treatment with high natural plant essence ingredient to sooth skin Contin..
● Product descriptionToner containing sap from birch, vine, etc. 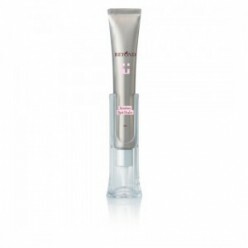 provides a differentiated moisturiz.. BEYOND Angel Aqua Moisture CC Cream This angel CC cream functions as moisture cream, sun cream, make..
● Product descriptionHighly nutritious conditioner combined with Moroccan argan oil ● Detail linkBEY..
● Product descriptionCurling essence for wave hair containing Moroccan argan oil with excellent mois..
● Product descriptionNon-sticky light oil type mist that supplies moisture to dry hair due to extern..
● Product descriptionA refreshing type of hair essence that is quickly absorbed into dry hair, givin..
● Products DescriptionBEYOND Argan Therapy Signature Oil 130mlHighly concentrated oil for damaged ha..
● Product descriptionBaby-only hair & bodywash with low irritation that gently cleanses from hea..
● Product descriptionContains natural ceramide to form a durable moisturizing protective film for ba..
● Products DescriptionBaby face & body lotion which creates a durable moisturizing protective fi..
● Product descriptionSpecial baby massage oil that gives a moist and soft skin roll with natural veg..
● Products DescriptionContains 96% Jeju Bamboo.An extract of bamboo growing in Jeju.Leaves skin smoo..
● Product descriptionRoyal Black Tea Extract is an anti-aging essence that recharges energy from the..
● Product descriptionMulti-Essential Oils While moisturizing and revitalizing your skin with the ela..
● Products DescriptionBody lotion contains natural berries and niacinamide that brightens and cleans..
● Products DescriptionSmooth and delicate body wash that provides soft and mild fresh cream foam, ke..
● Product descriptionItalian Poreata Spa Water, Olive Oil, Betaine, Vitamin and other natural moistu..
● Product descriptionPoreata Mineral Foam of Italian hot spring water keeps your skin soft and moist..
● Products DescriptionBody wash with tomato, pomegranate and grape to give body elasticity.Gives fir.. Beyond was established in 2005. 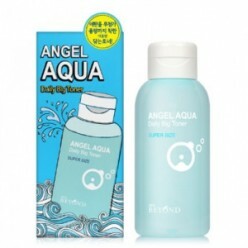 This brand develops the products and tries to use a nature with care and effective way minimizing wastes. Company has the own research center Eco Beauty Lab where you can see cosmetics design and testing. Beyond refused from chemically preserved components and parabens and it tries to use natural and eco materials only. Refinable materials and biomasses are used by Beyond to make products package. 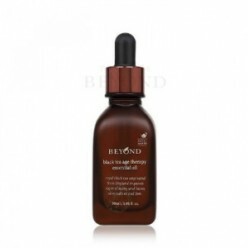 Beyond products are designed for all ages and sensitive skin. All manufactured Beyond products take obligatory dermatologic testing. 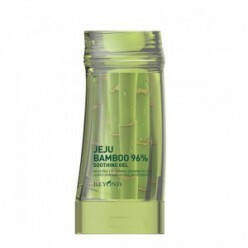 One of the most popular and famous Beyond lines – is True Eco; the products of this line prevent premature aging of a skin. Beyond produces skin care products, shampoos and conditioners for damaged hair and facial masks.